Your body is a machine that needs the proper fuel to function. Unfortunately, our diets don't always allow us to get the nutrients we need. In other cases, science has discovered that to reach peak performance it's necessary to supplement our diet with additional nutrients beyond what we've historically used. One of these that is incredibly important today is Omega-3 Fish Oil. This is a word that we hear all the time, but what exactly is it and how can taking an Omega-3 supplement help improve a man's health? Omega-3 Fatty Acids come in two primary forms - EPA (eicosapentaenoic acid) and DHA (docosanhexnoic acid) and are found primarily in certain fish. This is why they are collectively referred to as "Omega-3 Fish Oil". A third type - ALA (alpha-linolenic acid) is mostly found in plants such as nuts and seeds. Collectively they are referred to as Omega-3 Fatty Acids but in reality the individual elements provide different benefits. However, your body ultimately needs all of them to function properly and for good health so it is important to ensure you consume enough through food as well as supplements like Omax3. While fish including Anchovies, Herring, Mackerel, Salmon, Sardines, Lake Trout and Tuna are all good sources of Omega-3s, different fish are better than others. For instance, farm-raised salmon has far less omega-3 than wild-caught and certain other ones can contain mercury and PCBs that when consumed regularly can cause other health issues. For this article, we're going to be focusing on the benefits of EPA and DHA found in fish oil but for those of you who are curious - ALA serves to help the body with energy production and can assist with your body's ability to process insulin. This makes it an important supplement for those with diabetes and insulin resistance. Omax3 is a superior product that is 93.9% pure compared to others that contain only 30%. Additionally, Omax3 features the patented ProResolv Formula that contains 4x more EPA than DHA. This is especially important since EPA is the Omega-3 most responsible for fighting inflammation. Omax3 is sourced from premium quality, wild-caught anchovies and sardines and is even certified by Friends of the Sea to ensure that their fisheries follow strict and sustainable marine practices. It's then cold-pressed and double-molecular distilled to guarantee purity and remove unsafe levels of saturated fats, impurities and toxins before being going through third party testing and packaging into individually sealed blister packs. This results in one of the highest-quality products possible. Unfortunately, the supplements industry isn't always that focused on delivering a premium product, however Omax3 is! This comes at a price and frankly I was initially shocked at the price difference. While a 60-count box of 750 mg gel tabs of Omax3 costs $47.95 ($0.80 per unit) - competitors are available for $19.89 for 40 750 mg soft gels ($0.50 per unit). However, when you compare the actual contents - the choice is clear. One competitor advertises 180mg of EPA and DHA, while Omax3 contains 1500 mg including a whopping 1125 mg of EPA and 275 mg of DHA! Plus, for guys like me that travel often - it's a lot easier to take a few individually wrapped units with me compared to a big bulky bottle. After taking that into consideration and the fact that it will be a lot more pleasant taking fewer gel caps, the perceived upfront cost is more than worth it. The EPA found in omega-3s is a powerful and natural anti-inflammatory. This helps directly with relieving joint stiffness and muscle aches and pains as well as helping athletes by allowing them to recover more quickly. However, this anti-inflammatory support has full body benefits by increasing blood flow and reducing swelling. DHA can help improve mental clarity, cognition and focus. Studies have also showed that it can help slow the effects of age-related memory loss. It can also help promote a positive mood. A study at the University of Illinois found that DHA plays a central role in sperm formation and specifically supports the development of the part of a sperm designed to piece an egg's outer layers so that fertilization can occur. Without DHA, sperm would remain rounded at the top and lack the crucial enzymes to allow fertilization. Additionally, since Omega-3 fatty acids help to improve arterial health it results in healthy blood flow and can also help raise dopamine levels that trigger arousal. Omega-3s are essential for lowering triglycerides and improving cardiovascular health through the inflammation fighting benefits of EPA. While there is no cure for cancer yet, studies have shown that omega-3s can help. They have a positive impact by generally supporting cellular health. In environments where cancer is likely, this can help normal healthy cells from turning into cancerous ones. As we get older, our cancer chances increase, so this is a good thing to add to our daily regimen and reduce our chances of being diagnosed with colon, prostate, and even breast cancer. 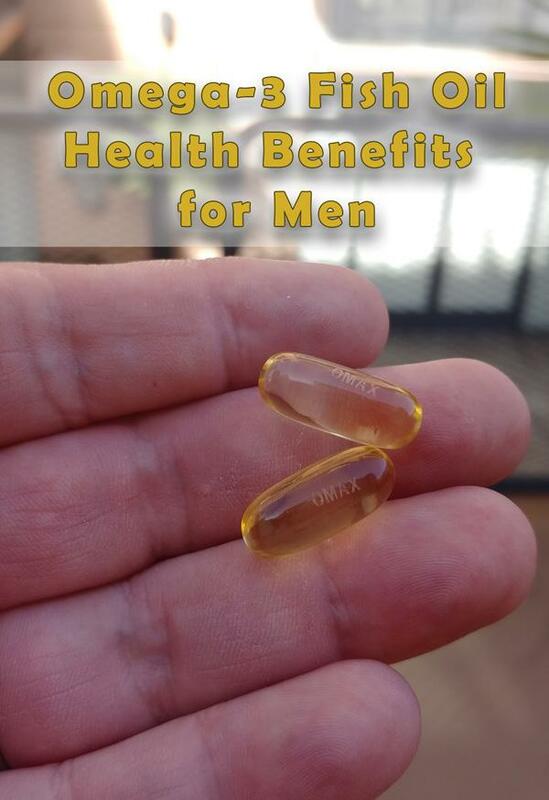 While not all of the benefits are discovered yet, the facts from more than 8,000 clinical studies are clear - Omega-3s can help men improve their health and Omax3 is a great product to help with that. If you're ready to see for yourself the benefits of adding Omax3 Omega-3 Fish Oil to your daily regimen then make sure to use this link and save 50% off the normal price of $47.95. 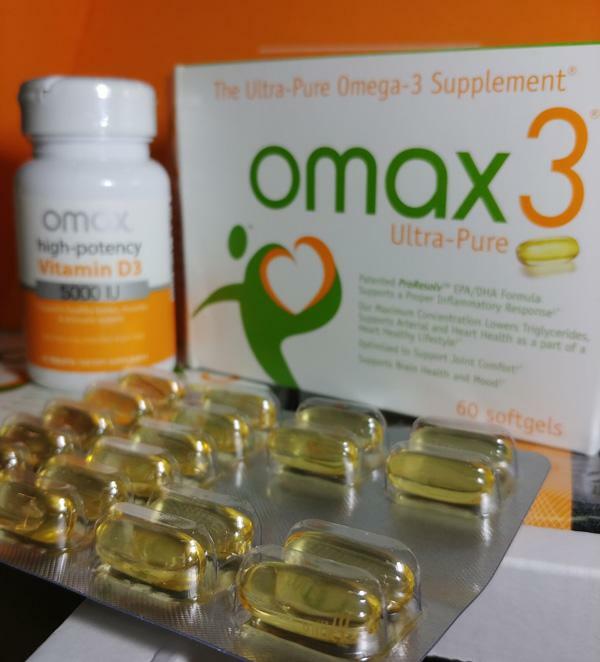 Omax also sells other supplements including probiotics and Vitamin D3, which can support digestive health and help those who don't have regular access to sunlight (a natural source of Vitamin D3).